Small businesses want to offer great employee benefits, but often find it difficult given their limited budgets. We’ll show you how small businesses can provide employees with excellent health insurance benefits and Google-worthy perks, without breaking the bank. Google Offers Amazing Benefits…and So Can Your Small Business! Google has been ranked as the #1 place to work in America for two years in a row. What makes working for Google so great? One reason is Google’s generous employee benefits and perks, such as comprehensive health insurance, low costs for medical visits, and company-wide wellness programs. Not surprisingly, Google spends a lot of money to provide employees with these generous benefits. 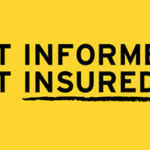 On average, small businesses spend nearly $6000 per year on each employee’s health insurance premiums. 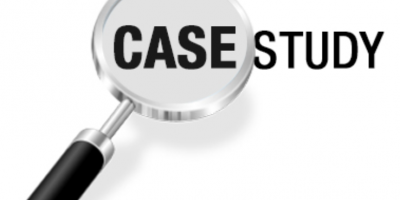 However, many companies can easily save $1000-2000 on premiums by selecting the appropriate plan for their company. 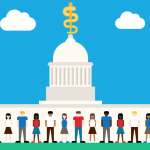 Health insurance benefits for small businesses are often vastly under-utilized, as many employees (especially younger employees) often only visit the doctor or emergency room once a year. Providing a cadillac health insurance plan is a nice gesture, but offers employees little meaningful benefit. 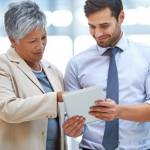 In most cases, employees would be equally well off under a less costly plan. 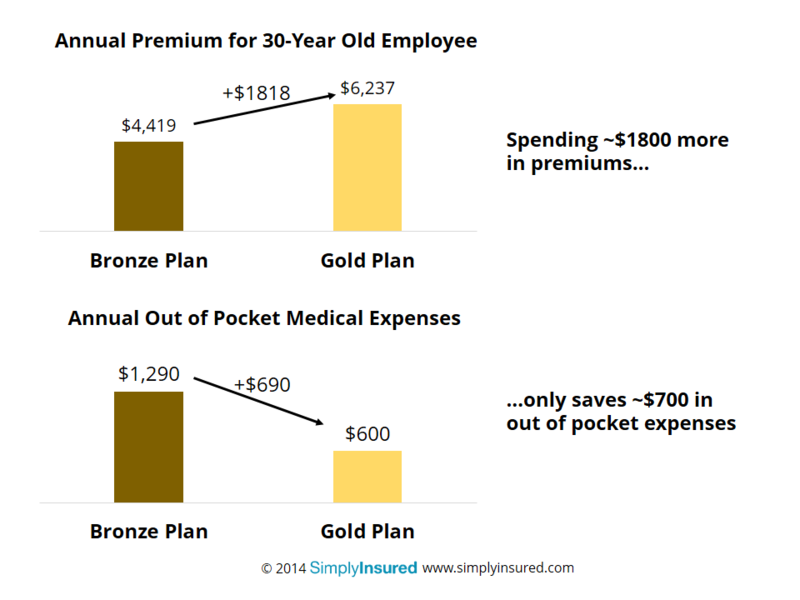 For example, a high-end “gold” plan costs $1800 more in annual premiums than a basic “bronze” plan, yet typically only saves employees $700 in out of pocket expenses. 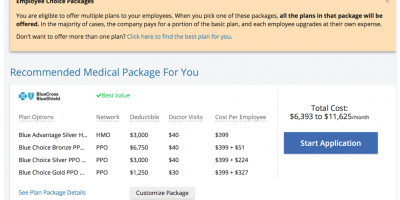 Here’s a better option: Save $1000-2000 per employee on premiums by switching to a lower cost plan, and re-invest the savings into programs that will make a difference to employees. Small businesses can greatly enrich benefits by re-investing the premium savings into tax-free health savings account (HSA) contributions. 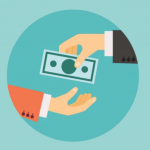 A company can fund a $1000 HSA contribution by using 55% of the premium savings. The HSA contribution would cover 100% of common medical expenses, leaving most employees with no out of pocket expenses. Any funds not spent in the HSA can be saved for future expenses. HSA contributions also have the added benefit being tax-free, so employees get to keep the full contribution and not pay any income taxes. 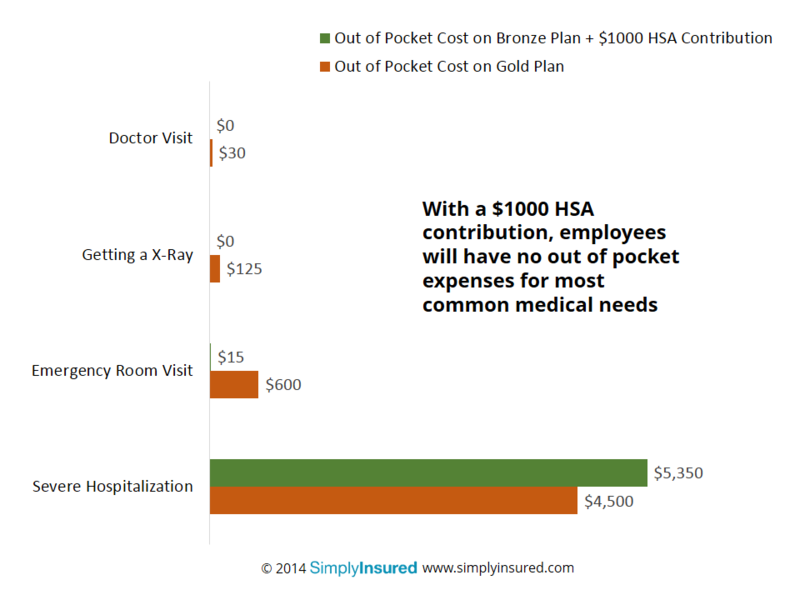 The HSA contribution enables employees to spend the full $1000, while a $1000 raise would only be worth ~$650 after taxes. Not only is the initial contribution tax-free, but any interest or investment gains earned in the HSA is also not taxed, growing an employee’s health expense nest egg over time. Finally, small businesses can use the remaining premium savings to offer their own version of Google’s wellness plans. While you might not be able to build a roller hockey rink just yet, small businesses can easily replicate other Google perks (at a much lower cost). In fact, this is an area where small businesses can exceed Google’s perks with a little creativity. For example, every SimplyInsured team member gets a Fitbit Force fitness tracker to measure our physical activity (or inactivity). Small business might not be able to offer all of Google’s perks, but can definitely create a compelling benefit package that employees will love. 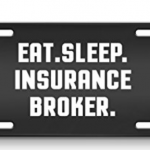 Ready to get started on a health insurance plan for your company? 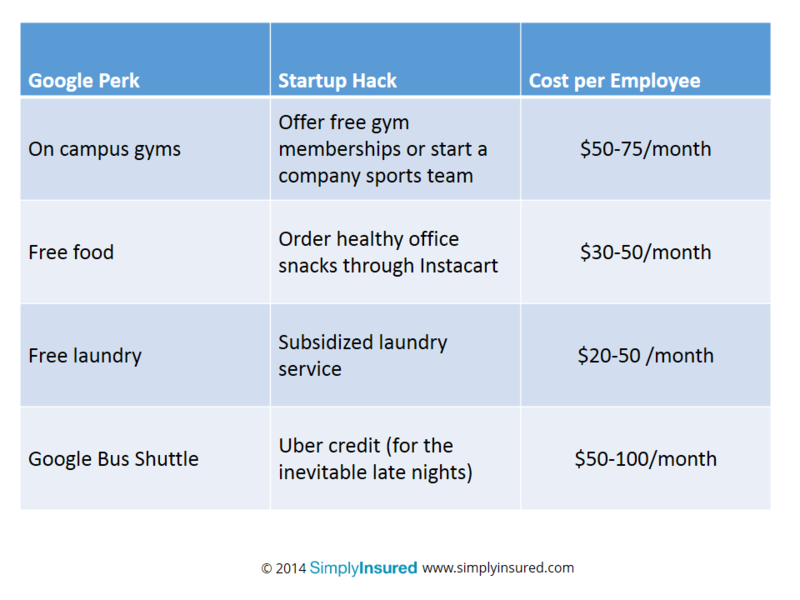 SimplyInsured helps companies save $500-1000 per employee on health insurance, enough to get a lot of gym memberships!